Why should I buy a hand-knotted oriental rug vs. machine-made? Hand-knotted Oriental rugs or Persian rugs are a one-of-a-kind works of art. Each was made by a skilled weaver, who used his or her practiced hands to tie individual knots of high-quality wool or silk onto a sturdy fiber foundation. Each weaver interprets the design or pattern, some of which have been handed down for generations. Hand-knotted rugs are heavy and dense. Those of the best quality contain 150 to 400 knots per square inch and, depending on size, can take years to envision and complete. The denser the knotting, the more durable the weave. Machines produce thousands and thousands of identical rugs in identical designs. If you see a rug curling at the edges or tipping at the corners, you are looking at a machine-made rug. If you want your rug to last a lifetime, and even improve in appearance as it ages, choose a hand-knotted Oriental rug or hand-woven Persian rug. Click to find the right oriental rug for you – runners, square, circle, rectangular – in all sizes, and the best prices for rugs online! Are Persian rugs or Oriental carpets harder to take care of than machine-made? Even if I have children and dogs? No. 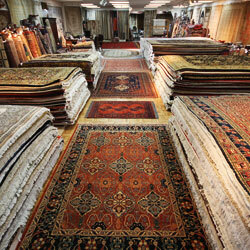 Oriental rugs and Persian rugs made of high-quality wool are among the most durable you will find. 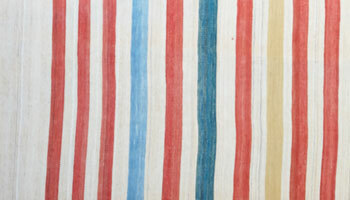 In fact, after years of use, hand-woven rugs take on an attractive patina, lending character and warmth to any room. And there may be no safer or more comfortable surface for you and your child to play on than the soft, forgiving pile of an Oriental or Persian rug. We can help with particularly bad stains, click here to learn about our professional cleaning services. How can I tell if an Oriental rug is made with high-quality wool? The best way to determine the quality of the wool is to seek out an expert to help you. But before you buy a rug, it’s good to know there are three basic types of rug wool. “Live wool,” or wool which has been sheared from a live animal, is the best, and lamb’s wool is especially praised for its soft, springy texture. “Dead wool,” which has been chemically removed from an animal’s hide, can be dry and brittle with a scratchy feel. “Used wool” is a product that has been recycled from old cloth and re-dyed. An expert will be able to tell you more about exactly what type of wool a rug contains. We can help you identify the quality and value of your rug, click here to learn about our free or documented appraisals. The Persian carpet I have now has a rubber backing. Is it handmade? No. Some machine-made rugs are “painted” with a rubber-like material that helps secure the fibers. If you look at the flip side of a hand-woven rug, you will see the backs of the individual knots. 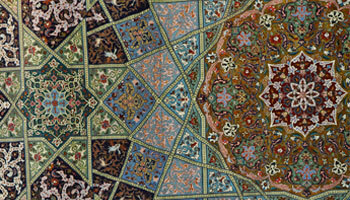 A hand-knotted rug does not need a rubber backing to strengthen its construction. Click here to see our website’s explanation of different styles of hand-made rugs. Is a hand-knotted Oriental rug the same as a tufted rug? No. A tufted rug is made with a machine—a “gun” that pushes fibers through a backing material. 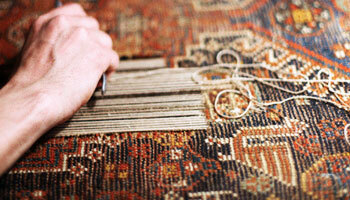 Click here to read our explanation of the construction of hand-woven rugs. Can I use a Persian rug or Oriental carpet anywhere in my home? What about the entryway or kitchen? Because entryways and kitchens are considered high-traffic areas, a durable wool rug is an excellent choice. Handmade, hand-knotted rugs repel soil and may actually look better over time because lanolin, a natural oil the wool contains, rises to the surface of the fibers, “polishing” the appearance. As for the kitchen, wool is among the most fire resistant of all natural fibers, and a wool rug looks fantastic on almost any floor surface: wood, bamboo, tile or natural stone. While some kitchen floor surfaces are hard on your back, wool provides a comfortable cushion for your feet. Another plus: Kitchen clatter can be noisy and annoying. A wool rug will significantly soften harsh kitchen sounds and give the space a cozy look at the same time. Click to find the right oriental rug for you – runners, square, circle, rectangular – in all sizes, and the best prices! Won’t a hand-knotted rug go out of style? No! A beautiful rug is timeless. Whether your interior design is traditional, rustic, modern, eclectic, casually elegant, minimalist or industrial chic, an Oriental or Persian rug will always be in style. Click here to browse our beautiful, hand-selected assortment of rugs. How do I choose between Kazak rugs, Indian rugs or Afghan Carpets? There are so many options, how do I know I won’t pick the wrong one? If you bring a picture of the room you are buying the rug for to Mansour’s Oriental Rug Gallery in Sacramento or Roseville, we will help you make the perfect choice. We also invite you to look through our collection and talk to us about what attracts your eye. We will find the right color, size, shape and style for you. 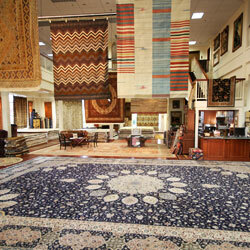 Click here to read how Mansour explains these different styles of hand-made rugs. My hand-knotted rug has a fringe, and my vacuum cleaner snarled it up. Can it be repaired? Absolutely. Before you buy a rug, take comfort knowing that when you have your rug professionally repaired, you significantly lengthen its life and gain many more years of enjoyment. Mansour’s offers expert rug repair – and you can watch us do it! Click here to learn more. You’ve convinced me! Where can I find a hand-woven Oriental Rug? Are you in the Roseville and Sacramento region? Come in to one of our rug galleries! Find directions. Alternatively, you can browse and buy a Persian rug right here! Find the right oriental rug for you – including runners, square, circle, and rectangular!